Countries are increasingly seeking to reduce their greenhouse gas (GHG) emissions and contribute to climate change mitigation and adaptation by protecting and restoring blue carbon ecosystems. Over the last decade, progress has been made to support the integration of blue carbon ecosystem into national and subnational policies. Under the Paris Agreement, mitigation and adaptation actions are eligible to be included in each country’s Nationally Determined Contribution (NDCs). The United Nations Framework Convention on Climate Change (UNFCCC) has a number of mechanisms for countries to report planned actions and progress on addressing climate change. In addition to the NDCs, countries can include blue carbon ecosystems in their National Adaptation Plans (NAPs), National Adaptation Programmes of Actions (NAPAs), and Nationally Appropriate Mitigation Actions (NAMAs). To develop concrete policy and management responses, and to provide rigorous numbers into national and global greenhouse gas accounts, blue carbon ecosystems need to become included in the official GHG inventories that countries submit under the UNFCCC. A key opportunity is for countries to include coastal wetlands in national carbon inventories (for guidance, see the IPCC 2013 Wetlands Supplement which provides GHG accounting methodologies for inland and coastal wetlands and supports the inclusion of emissions and removals from these ecosystems in national GHG inventories). By including these ecosystems into national inventories, the mitigation potential of blue carbon ecosystems will be integrated into assessing global progress towards achieving the goals of the Paris Agreement through the Global Stocktake process. 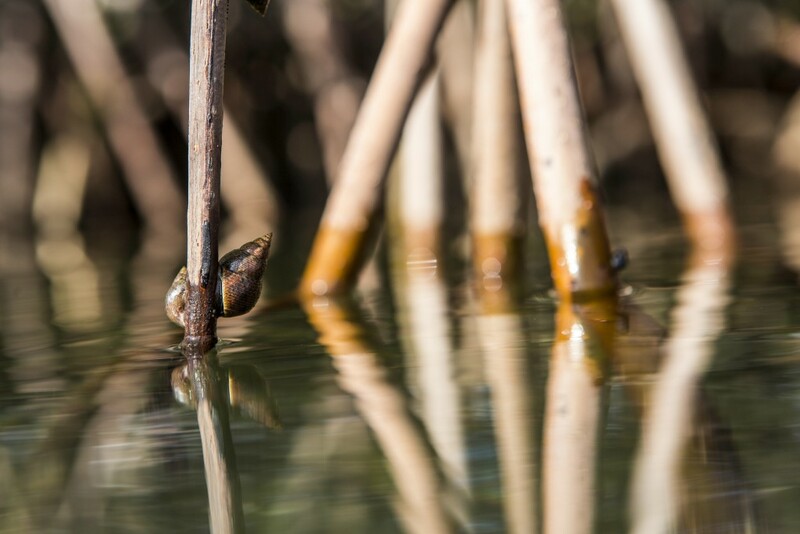 Mangrove conservation and restoration efforts can be incorporated in UNFCCC forest mechanisms such as REDD+ and as part of LULUCF activities if a country defines mangroves as a forest. If soils are a significant source or sink as defined using IPCC key category analysis, like in mangrove forests, soil carbon will also be included in the accounting methodologies of REDD+ or LULUCF. NAMAs (Nationally Appropriate Mitigation Actions) are opportunities for developing countries to conduct climate mitigation projects that also have a focus on social benefits. NAMAs include blue carbon efforts in land-use change, conservation and restoration activities in coastal ecosystems. Given the multiple social benefits provided by coastal wetlands, these ecosystems are well positioned to be included. Nationally Adaptation Programs for Action (NAPAs) provide a process to respond to urgent and immediate needs of Least Developed Countries (LDCs) to adapt to climate change. National Adaptation Plans (NAPs) enable Parties to identify medium- and long-term adaptation needs and develop and implement strategies and programmes to address those needs. Coastal wetlands are already considered by many Parties within their NAPs/NAPAs. For more information on blue carbon in other UNFCCC mechanisms, see section 4 of Coastal Blue Carbon Ecosystems: Opportunities for Nationally Determined Contributions. Current challenges of integrating blue carbon ecosystems into national policies include the incomplete data of carbon stock, emissions, and removal, and currently seagrasses remain outside any reporting, accounting, or NDC framework. ref However, support from groups such as the Blue Carbon Initiative and the International Partnership for Blue Carbon are helping to incorporate blue carbon ecosystems more fully into national policies.